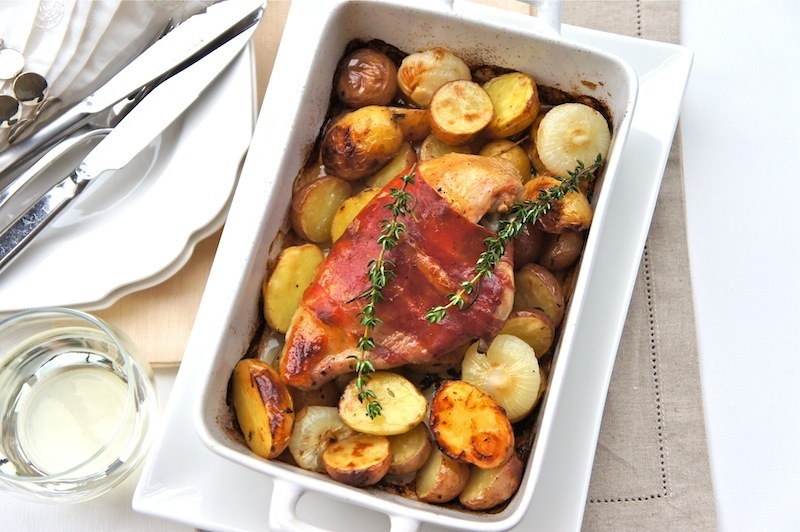 I made this Roasted White Wine Chicken with Prosciutto, Potatoes, and Onions over the recent holidays. I deliberately roasted the chicken and potatoes in the same baking tray. 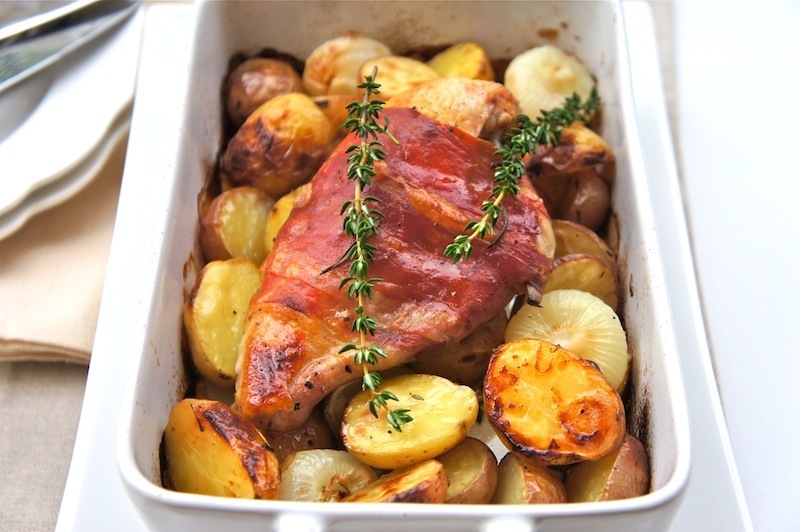 This method allowed the potatoes to absorb all the wonderful flavors from the prosciutto and chicken, which makes a huge difference to the overall taste of this hearty dinner for your family or friends. Try it. Looks delicious! Love meals that only require only one pan. 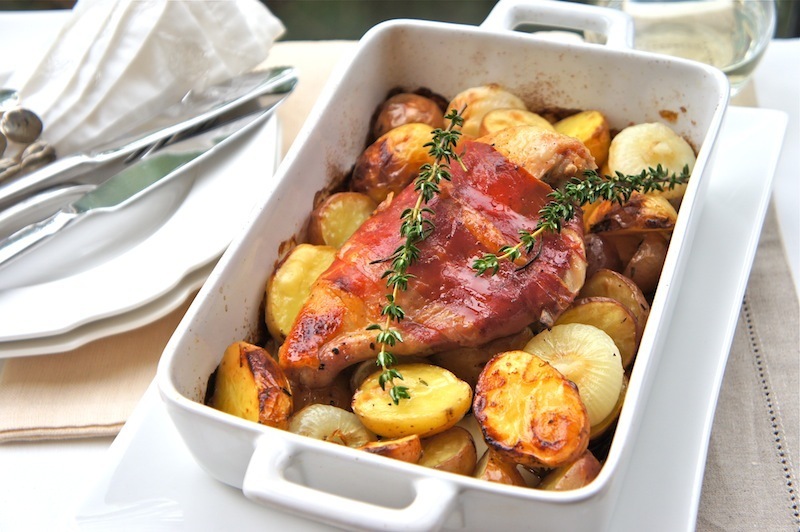 I can imagine how wonderful that made the potatoes, nice meal! Beautiful! This looks like such a delicious meal. Happy Holidays! Great looking dish! So easy and delicious.